“In every family there is a rock—the person that keeps things together. In Blaire Sharpe’s family, that rock was her grandma. As she shares the inspiring story of her relationship with her grandma, Blaire expands on the notion of what it really means to be loved. When she was just an infant, Blaire’s troubled parents divorced. Since both parents were incapable of raising Blaire and her siblings, the children were slated for foster care—until their grandmother, Eleanor, stepped in to raise them as her own. As Eleanor valiantly struggled against a family legacy of alcoholism and depression, she modeled strength and wisdom to endure the most challenging of times. Still, Blaire’s life was not perfect. As she matured into adulthood, she battled addictions that eventually led her into recovery, just as Eleanor’s health began to decline. When she found herself sandwiched between two generations, each increasingly needy, Blaire poignantly reveals how she discovered the true meaning of love and commitment, and the essence of what it means to be a mother. Blaire Sharpe holds master’s degrees in Business and Mental Health Counseling. She specializes in working with adults suffering from mood disorders and survivors of domestic violence and sexual abuse. Blaire lives in a suburb of Detroit with her husband, three children, and two dogs. This is her first book. I love reading about families, they are always so different and interesting. My own family was not ideal, dysfunctional doesn’t really cover it, but if I had a grandmother like this one, who knows what I may have become. It is remarkably easy to find yourself in a less than desirable situation, and easier still to find yourself in a difficult situation. It is also easy to blame yourself when so many things go wrong. The journey with her grandmother is a lovely story, albeit incredibly sad towards the end, but always written with love and compassion. I loved the brave and fearless way the author bares her soul never shying away from uncomfortable truths. Have you ever walked around your garden, enjoying the birds, insects and lovely flowers and wondered if magic could be hiding there? Sally Cronin obviously has, for this enchanting book explores the magical goings-on in her own garden. From the stone guardians and fairy folk, each tale is full of hidden worlds and magical places. Each one a miniature fairy tale of priceless gemlike proportions. I especially enjoyed the many illustrations that accompany each tale, and reading this book encouraged me to relax and let my imagination take me on a magical journey through this wonderful garden. It will probably change the way I feel about my own garden forever. For the last two years, Sally has written a daily blog covering the subjects close to her heart and it is called Smorgasbord Invitation – Variety is the Spice of Life. You can link to it from here: smorgasbordinvitation.wordpress.com. This another of our missing Amazon reviews! #ThrowbackThursday is a wonderful way of reminding everyone about all the books we enjoyed… and Myth and Magic is a wonderful read! o fear a future together. He left Veronica, hoping to save her from a terrible fate. Twelve years later, Caith, now a P.I., is hired to investigate bizarre incidents at the secluded retreat Veronica manages. Returning to his hometown, Caith is forced to face his nightmares—and his feelings for the woman he’s always loved. Myth and Magic is a passionately romantic yet mysterious story with an interesting and complex plot. I loved the chemistry between the two main characters, Veronica Kent and Caith Breckwood, the electricity between them made my skin tingle and fairly leaped off the pages. As children, they played games of myth and magic, but fate intervened and a terrible misunderstanding leads to disaster, ruining their relationship and their childhood. How can they leave their troubled past behind and unearth the magic that seems to lurk just beneath the surface? Brilliantly written and packed with intrigue and atmosphere in the style of old-fashioned romantic mystery novels, the pace and tension will prevent you from putting this book down. I know this for a fact because I couldn’t. 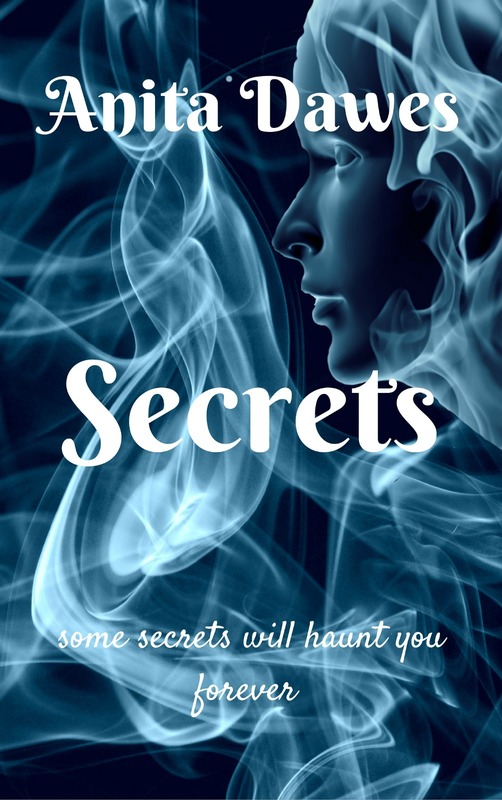 This story hovers between being a ghost story and a full-on hot-blooded romance, but underneath all the mystery and intrigue, this is a typical ‘will they, won’t they’ romance. Not quite enough magic for me though, although I enjoyed looking for it. Silver Medal Winner 2016 Readers’ Favorite Book Awards Children’s/Preteen. Blue Treat Award Rave Reviews Book Club 2017. The first of TC’s adventures – an archaeological mystery for junior readers and above. Family friendly finalist in The Wishing Shelf Book Awards. TC is a rebellious, headstrong but likeable teenage girl with an extraordinary gift. Somehow, she can tap into the past and literally witness history being made simply by touching things with her hands. A bit of a bind having to wear gloves all the time to avoid it happening all the time, especially for a teenage girl, but it did give a certain authenticity to her amazing talent. While exploring Australia with her Uncle, she finds hieroglyphics carved on rocks. These send her searching for the lost and forgotten tomb of an Egyptian King. Someone whose life she learned about when she touched the stones. A unique twist of a story, and TC is a totally believable teenage Indiana Jones. I loved this story and all the lovely illustrations. I was gripped from the very first page and couldn’t fault the writing, the plot or the formatting. A very special story, I could totally believe that the Egyptians explored Australia, and cannot wait to read the next book in the series. Wendy has a NZ Certificate in Science (Chemistry), which allows her to dabble with fuming potions and strange substances, satisfying her inner witch. Wendy writes adult fantasy as Wendy Scott and children’s stories as WJ Scott. In 2012 Hieroglyph was selected by NZSA for one of five mentorships (mentor author Anna McKenzie). Hieroglyph won the Gold Medal in the UK Wishing Shelf Book Awards 2015, 9-12 year category, and the Silver Medal in the International Readers’ Favorite Book Awards, Children’s/Preteen 2016. She’s no killer. She’s just taking out the trash. Stacy Green is the author of the Lucy Kendall thriller series and the Delta Crossroads mystery trilogy. ALL GOOD DEEDS (Lucy Kendall #1) won a bronze medal for mystery and thriller at the 2015 IPPY Awards. TIN GOD (Delta Crossroads #1) was runner-up for best mystery/thriller at the 2013 Kindle Book Awards. Stacy has a love of thrillers and crime fiction, and she is always looking for the next dark and twisted novel to enjoy. She started her career in journalism before becoming a stay at home mother and rediscovering her love of writing. She lives in Iowa with her husband and daughter and their three spoiled fur babies. Stacy loves to hear from readers! Visit her website at stacygreenauthor.com, or Facebook at http://www.Facebook.com/StacyGreenAuthor. I was completely struck by how very real the main character is in this award-winning thriller. The story of Lucy Kendall, a former CPS officer turned private detective, is so brilliantly well written, this could almost be an autobiography. Every word and emotion rings so true, it must have been based on a very real person and is someone I would love to meet. She has such empathy with the victims, frustration at their plight impelling her to dish out her own kind of justice. Understandable, when you discover the source of her motivation. And boy, can she talk. I have a problem writing dialogue myself, probably because I’m not much of a speaker, but I was totally blown away by the complexity of this story and its cast of interesting characters. How compact and yet flowing it is, and so incredibly easy to read. I haven’t read a book that was literally impossible to put down, and hope the rest of the series continues to be as good. 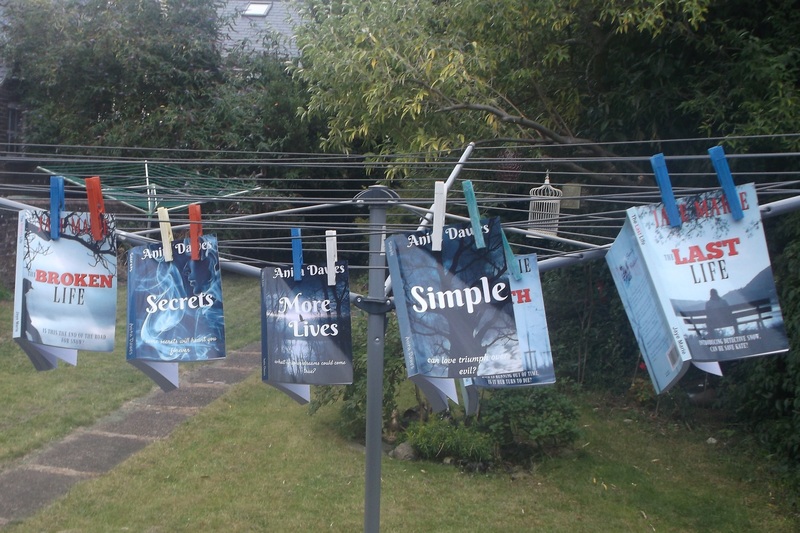 Anita thought our books needed a bit of an airing! Simple is another one of Anita’s books, written in the same West Virginian theme as Bad Moon. The story of a backwoods family and the way they treat their mentally challenged son, Ethan. Or Simple, as he is called. A story of love and caring, of living with fear and brutality; and how the love of one person can make a difference. Gran stormed across the clearing, bending to pick up a stick from the ground without breaking her stride. Simple, sitting against the wood pile, was in for another of her beatings. I yelled for him to run, but he didn’t hear me. Lost in one of his daydreams I guessed. 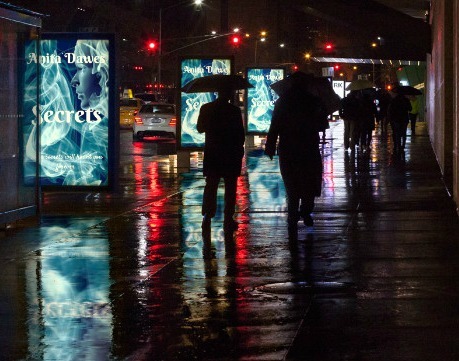 Secrets, a haunting family drama, is about deeply buried guilt and all the secrets and suspicions that invade and control our lives. Many children have an invisible friend, and sometimes they can be a necessary part of a child’s life for many reasons. But when this ‘friend’ starts to cause more than just mischief, it is time for his mother to investigate further. Maggie Swan loves her little boy Danny, but his new playmate was becoming something of a problem. It was almost as though something was wrong and he was trying to fix it. Her husband Jack, was no help at all, dismissing her ideas as rubbish. But was he merely trying to hide a guilty secret? One that Danny’s new friend knew all about? Jack Swan sliced through his fried egg the same way he did every morning, precisely, like a surgeon. Cutting a piece of bacon and sausage, he proceeded to dip them into the bright yellow yolk in a very business-like manner. Sitting opposite him at the breakfast table, Maggie watched him eat, remembering what he’d said at the beginning of their marriage so long ago; that a good breakfast was the only way to start the day. As far as Jack was concerned, if his egg was right, the day would be perfect, and not for the first time she wondered about this part of his childhood programming. According to medical science we are all supposed to have something we carry around with us from childhood. Something individual that makes us act the way we do. She wondered what hers was. She slowly looked up at him from the mess on her plate, and he could tell by the way her usually bright blue eyes had darkened to the colour of the sea that he wasn’t about to hear anything like what he wanted to hear. ‘Yes, I know what he said,’ an edge creeping into her voice, ‘but he’s not God. You don’t have to take everything he says as gospel. I don’t happen to think this thing with Toby is the same as a comfy blanket or a favourite teddy a child drags around with him. Can’t you see how he’s changed? ‘… he’s destructive, rude and downright messy. Don’t you think dragging half the garden into the kitchen last week was going a bit too far? You saw his face when I tried to tell him off, he wasn’t the least bit sorry. Judging from the skid marks all over the place it was plain to see he’d had a whale of a time, and what did he say when I asked him why he’d done it? … because Toby wanted him to. She opened her mouth to say something, but before she could, he reminded her again that she had agreed the gentle approach was best. Then he kissed her goodbye, grabbed his briefcase and left. Today, we are lucky enough to welcome Craig Boyack, better known perhaps as coldhandboyack.wordpress.com to our blog, to tell the world about his new book of short stories, The Experimental Notebook II. A finer collection you will not find, believe me! More from us further down the page, so over to you, Craig . Thanks for inviting me and allowing me to promote my newest book on your site. This is a collection of short stories and micro-fiction with a speculative bent. 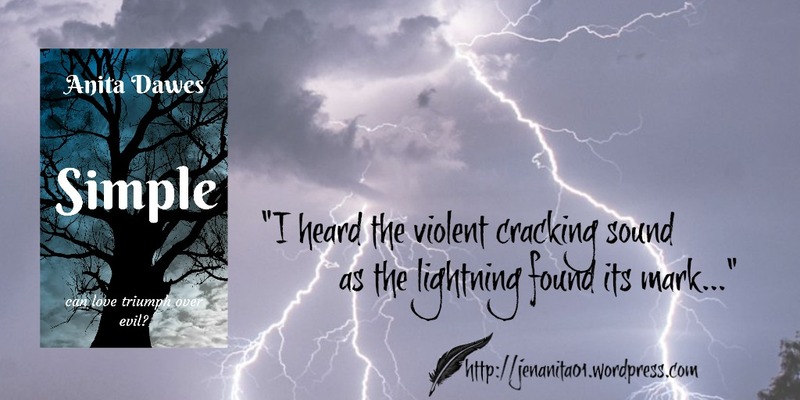 You’ll find some paranormal, some science fiction, and the tiniest sprinkle of fantasy. My first collection sold so well I wanted to produce another one. I took the easy road and added a number. It’s called The Experimental Notebook of C. S. Boyack II. I get ideas from everything. It could be music, a cloud formation, or some graphic I spotted online. Sometimes it’s an old movie. There is a story in this collection based upon some debris I spotted in a stream beside my work. We’d been through a huge windstorm, and construction garbage was everywhere. This became a story called Parade Wave. Most of these ideas won’t carry a full length novel. I discarded them for years before I started adding them to a list. When I burn out on my novel, I sometimes pick up one of these ideas and write something shorter. I left them on my computer for a long time, because I didn’t see publishing them individually. When the short fiction market picked up, I decided to release my own collection. I made it a good deal, with the idea that someone might enjoy it enough to check out one of my novels. Both Experimental Notebooks are priced at 99¢. Since they are both collections, there is no requirement to read the first book ahead of the second one. I hope some of your readers will check one of them out, and enjoy their foray into shorter fiction. When I beta read Craig’s new book of short stories, The Experimental Notebook II, I was under the impression we had reviewed the first book. I distinctly remember reading it, one of the reasons I offered to read the second one. However, I have double checked, and have not found our review anywhere. This post is supposed to be about The Experimental Notebook II, but I cannot let this oversight go unmarked and will subsequently review both books on Amazon and elsewhere. Craig Boyack has an imagination like no other. His short stories are well written and uniquely different. Such a wide variety of interesting topics, full of memorable characters. Every time you think you have a favorite story, you find another one! This talent is evident on his website too, making every post a joy to read. Promotion & Interview . . .
Yes,BAD MOON, another one of our books is FREE this week, as part of a kindle book promotion on Amazon. From now until Friday, the kindle copy costs absolutely nothing! Of course, we have an ulterior motive. We would love a few more reviews for this book, as it would make promoting it just a little bit easier. Nothing too difficult, just a few words on Amazon. Really easy to do and would mean so much to us both. So click on this universal Amazon link myBook.to/badmoon and help yourself (and us)! Seeing as this week is all about BAD MOON, I thought it would be a great time to post this interview with Anita herself. She hates anything to do with computers, so this is a milestone AND proof of my persuasive powers, so enjoy! “Now Anita, do stop glaring at me, relax, and let’s get on with it. Bad Moon was your first book, what made you write it? “It is a bit brutal in places, not a gentle family story by anyone’s standards. Is this something you think could exist in an ordinary family?” Anita is glaring at me again; maybe I shouldn’t have asked that question? Hope the Youtube video link works, as this was the music that started it all!